While Medicare Advantage (MA) plans have long offered extra benefits, including dental, vision and hearing coverage, CMS released new guidance in April of this year that dramatically expanded the scope of supplemental benefits. Beginning coverage year 2019, plans for the first time can offer adult day care, alternative medicine, home aids and other services that address the social determinants of health. Due to the late release of the Final Rule, many plans were unable to adjust their benefit packages for 2019; however, 40% were able to rapidly organize and offer at least one new benefit this year, according to a study by Avalere. Three first-movers to act on the potential are Anthem, Cigna-Healthspring and Humana. If you were unable to re-design your benefits for 2019, an understanding of how these providers adapted to the new flexibilities can be helpful in creative competitive packages for 2020. Enrollees can switch to another benefit at any time during the plan year should they determine another to be more important to their health. Anthem may also decide to swap out some benefits in favor of others in the future. Essential Extras will be available in 2019 through Anthem Blue Cross Blue Shield plans in Georgia, Indiana, Kentucky, Missouri, Ohio, Virginia and Wisconsin, according to the company. Everyday Extras will be available next year through Amerigroup plans in Tennessee, Texas and New Jersey. On October 15th, Cigna announced 2019 plans with more comprehensive benefits and a new nationwide prescription drug plan. For the first time, the majority of Cigna customers will now have access to nutritious home-delivered meals at no extra cost for one week following an acute inpatient hospital stay. The meals incorporate individual dietary restrictions and are delivered frozen with preparation instructions. Meal delivery personnel also visually check the home environment to assess safety. Additional benefits include transportation to medical appointments and pharmacies for customers in select plans and through a partnership with Lyft, a well-known ride sharing company. Since the introduction of the service in May, 92% of Cigna-HealthSpring customers using Lyft have made it their preferred transportation option and more than 14,500 transports have occurred. Humana Inc. announced Medicare plans for 2019 with added convenience and a focus on the health and well-being of the entire person. Understanding that if you’re food insecure, you’re more likely to have chronic diseases, they added a benefit that will provide members with 40 meals from Meals on Wheels following a hospital discharge. Other newly new benefits include in-home care support and unlimited transportation to access physicians and fitness centers. Additionally, in realizing that members who are socially isolated are more likely to be hospitalized, they added a loneliness visit where members can have a person talking with them during their meal deliveries. Last, Humana added a telepych benefit that offers virtual access to psychiatric doctors for those living in areas where access is limited. 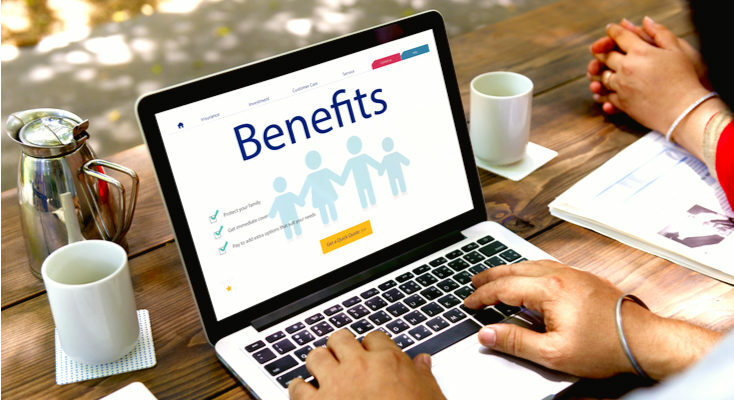 As plans look to create a bundle of benefits that are more appealing to each of their members, they shouldn’t be afraid to test and adjust accordingly as they gain insight into how beneficiaries respond to and access these new benefits. Critical to success though is ensuring your marketing and member engagement becomes just as competitive and personalized as your offerings. This means creating communications that personally engage members in the benefits of greatest interest to their individual health. For help creating communications as personalized as your benefits, please call 203-731-3555 or email inquiries@cierant. Overseeing the Age-In marketing and member communication strategies of the nation’s leading health plans, we are expert in the automated creation and distribution of personalized payer communications.